Protein Products | ARP American Research Products, Inc. These are proteins that are supplied in their native biological state and retain their biological structure and function. The native proteins supplied by ARP have been purified from pathogens, cells, plasma or extracted from tissues. 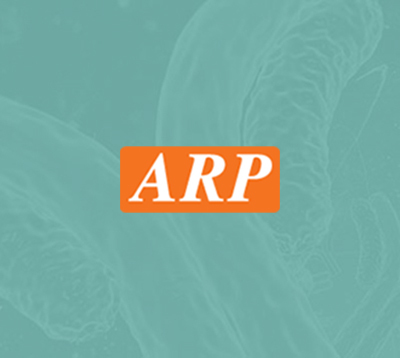 ARP American Research Products offers a wide selection of native proteins and antigens that are sourced from both humans and animals to meet your research needs. Recombinant Proteins are manufactured using recombinant DNA technology. During this process, DNA encoding the protein of interest is inserted into a suitable vector and the protein is expressed using either bacterial cells e.g. E.coli, yeast, insect cell lines, mammalian cell lines or cell free systems. ARP American Research Products offers both human and animal recombinant proteins for laboratory research. Interferon gamma (IFN-γ) is a soluble cytokine, which belongs to the type II interferon class of proteins. It has antiviral activity and plays an important role in immunity against intracellular pathogens. In addition, IFN-γ is involved in a diverse range of biological processes and has important immunoregulatory functions which are controlled through transcriptional regulation of relevant genes. It is primarily secreted by natural killer (NK) cells and natural killer T (NKT) cells involved in the innate immune response, and by Th1 and cytotoxic T lymphocyte (CTL) effector T-cells involved in adaptive immunity. Interferon gamma has anti-tumor activity and is involved in the pathogenesis of inflammatory and autoimmune diseases. Mutations in IFN-γ are associated with increased susceptibility to viral, bacterial and parasitic infections. Influenza A is a member of the Orthomyxoviridae family of viruses. The virus causes a seasonal respiratory infection, which may be severe in the very young, elderly or in people with chronic medical problems. Influenza A viruses are divided into subtypes based on the hemagglutinin (H) and neuraminidase (N) surface proteins. Two subtypes of influenza A viruses, H1N1 and H3N2, are in global circulation in humans but 18 H subtypes and 11 N subtypes are reported to exist. In addition, different strains of influenza A also exist due to frequent mutations. The bacterium Borrelia burgdorferi is a tick-borne pathogen that belongs to the spirochete family. B.burgdorferi consists of a number of different genospecies and is often referred to a B. burgdorferi sensu lato (s.l.). Rodents and a variety of small animals are natural hosts for the pathogen, but remain disease free. However, when transmitted to humans via the Ixodes ricinus tick the spirochete causes a pathogenic condition known as Lyme Borreliosis (LB) or Lyme disease. The symptoms of Lyme disease are variable and generally non-specific, which makes the condition difficult to diagnose. After a period of infection, diagnosis can be confirmed by measuring IgG or IgM antibodies against B. burgdorferi in the patient’s serum using serological immunodiagnostic assays.